We offer a wide variety of services to meet your financial needs. Travelers Express money orders are available through Acadian Federal up to $1,000.00 per money order. They are a safe and convenient way to pay bills or do other transactions. Stop by today and purchase a Travelers Express money order. For your convenience, Acadian Federal Credit Union offers Cashiers Checks for those times that you need a check payable to someone other than yourself. Can’t make it into the credit union? 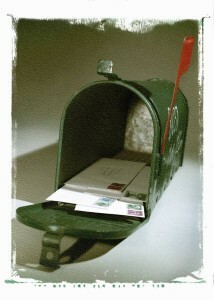 Give our office a call and we can mail you a check from your account. Acadian Federal Credit Union has members all over the United States. or deposits into your account without actually being here. We can also mail you a check out of your account. Need a gift for a birthday, anniversary, graduation, promotion or simply to say thanks? 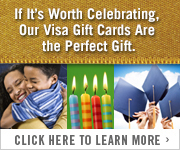 Our Visa Gift Cards come in colorful designs to celebrate any special event.